Major U.S. industries increasingly anticipate a variety of technological challenges in the coming years. Prairie View A&M University is among the institutions working to help the industrial sector meet these challenges. Industry Day 2016, set for Wednesday, April 27 on the university campus will provide a sample of the research capabilities, commercialization possibilities, corporate program opportunities and service capabilities that exist at Prairie View A&M University and how these capabilities can be beneficial to both the local and global marketplace. Full video from our live video web chat on Monday, April 25. To ask your question, click or tap the 'comment' button below. 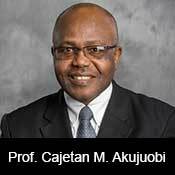 Dr. Cajetan M. Akujuobi joined Prairie View A&M University (PVAMU) for the second time in 2014 as vice president for research and dean of graduate studies. Before coming to PVAMU, he was the dean of the College of Science, Mathematics, Technology and Engineering (SMTE) at Alabama State University (ASU) from 2010 through 2013. As the college's chief academic administrator, Dr. Akujuobi provided vision, leadership and advocacy for the college, its programs, faculty and staff in the various departments under his leadership. Before joining ASU, he was a fully tenured professor of electrical and computer engineering; department head of electrical and computer engineering technology; and the founding director of PVAMU's Center of Excellence for Communications Systems Technology Research, where he worked for 12 years before joining Alabama State University in June 2010. 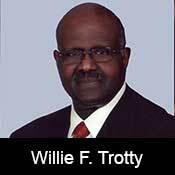 Willie F. Trotty is the former vice president for research, and dean of the graduate school at Prairie View A&M University. He currently serves as professor of educational leadership and special assistant for research initiatives. At the state and national levels, Dr. Trotty was a member of the board of directors of the Texas Society for Biomedical Research; former chair of the Steering Committee for the Science and Engineering Alliance (SEA) in Washington, D.C.; former councilor and a trustee of the Texas A&M Research Foundation; and a member of the Texas Medical Center Council of Research Directors. Dr. Trotty received the B.S. degree (1970) in biology and political science and the M.S. degree (1972) in biology and secondary education from Stephen F. Austin State University. He received the Ph.D. degree in educational administration and industrial management from Purdue University in 1977. In 1995, he completed the Governor's Executive Development Program (Class XIII) at The University of Texas Lyndon B. Johnson School of Public Affairs in Austin, Texas. 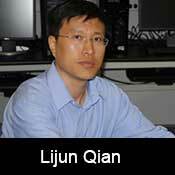 Lijun Qian Lijun Qian is a professor in the Department of Electrical and Computer Engineering at Prairie View A&M University (PVAMU), a member of the Texas A&M University System near Houston. He is also the director of the Center of Excellence in Research and Education for Big Military Data Intelligence (CREDIT Center) and the Wireless Communications Lab (WiComLab). Before joining PVAMU, Dr. Qian was an MTS in the Networks and Systems Research Department of Bell-Labs at Murray Hill, N.J. He is a visiting professor at Helsinki University of Technology (now Aalto University), Finland. His research interests are: big data processing, wireless communications and mobile networks, network security and intrusion detection, and systems biology. His research is supported by the National Science Foundation and the U.S. Department of Defense. 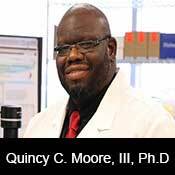 Quincy C Moore III, Ph.D. is a trained microbiologist with more than 16 years of training in infectious in vivo and in vitro disease models. Dr. Moore established an innovative research lab as a part of the Cardiovascular and Microbiology Research Center in Prairie View A&M University's Department of Biology. Dr. Moore attended Jackson State University, Auburn University and the University of Mississippi Medical Center. He is the author and co-author of 16 publications, more than 40 presentations at local, regional, national and international meetings. He has been a guest speaker at many conferences in his field and has secured research funding for several projects. 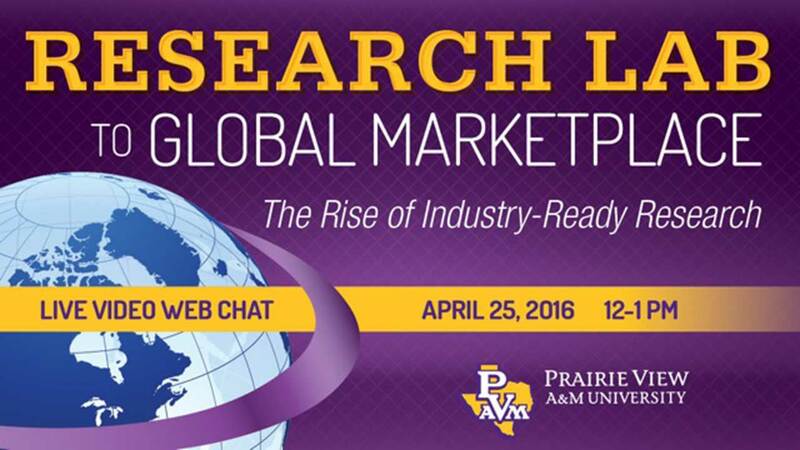 Check out Prairie View A&M University's Industry Day 2016 by clicking HERE or Call (936)261-1587.